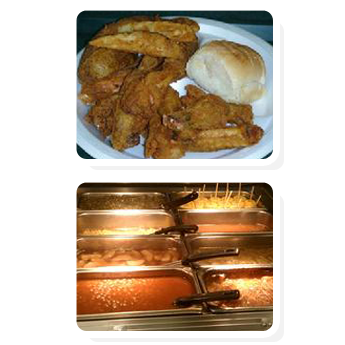 Mouthwatering Fried Chicken and "Winston Wings"
When it comes to flavorful, fried chicken and homestyle cooking, nobody does it better than Mountain Fried Chicken in Winston Salem, North Carolina. Whether you need full catering services for a gathering, or a quick crispy fried chicken fix delivered* straight to your door, we've got you covered. 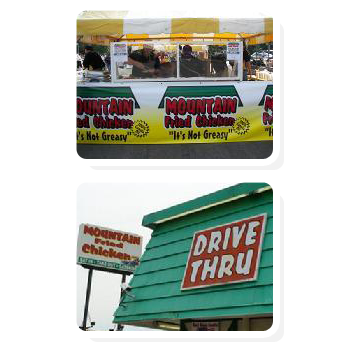 In addition, we offer drive-through, dine in, and take out services. The Best Fried Chicken and Wings in Town! 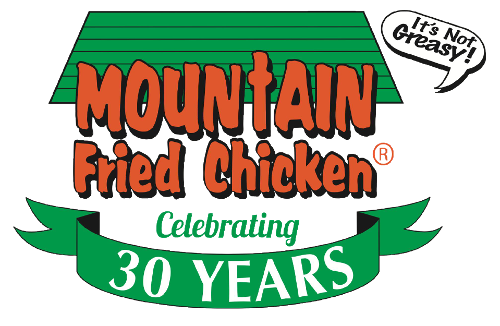 The secret to Mountain Fried Chicken's claim "it's not greasy" is all in the cooking and preparation. We take time to trim the fat, and our chicken is then seasoned with a blend of Chicken Charlie's personally selected spices and herbs. Then it is pressure cooked in 100% canola oil at the right temperature to bring out the absolute best flavor possible. We have been using these methods for more than 30 years. Leftovers? It doesn't matter if you leave it in the fridge overnight. The next morning, hot or cold, it'll still taste just as great. With the holidays coming up, dont end up on the naughty list, worry no more about food preparations and let us handle catering for you! We offer full-service catering of off-menu items to fit your party theme and budget, call our catering line (336) 766-3881 for more details please view our menu to check out our regular selection of delectable dishes. (336) 767-1676. We serve meals that are pressure cooked in high-quality canola oil; this means 0 trans fat and no cholesterol! Please note that for deliveries, orders must meet the minimum of $75, non-inclusive of tax. • Winston-Salem Hospice Annual Hoedown • Wake Forest "Santa's Helpers"